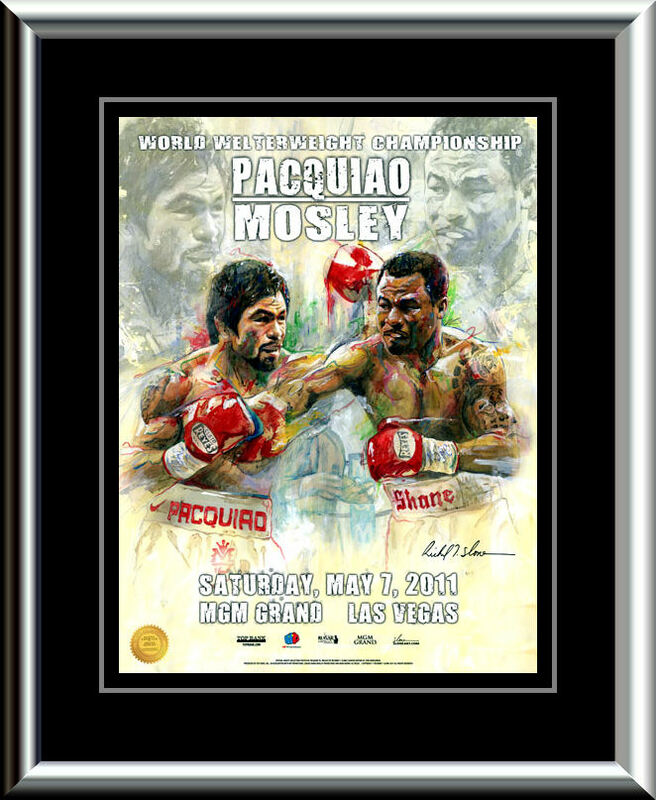 Description : Official Slone art limited edition MGM Grand commissioned onsite poster from the showdown at the MGM Grand Garden Arena in Las Vegas for the welterweight Title. 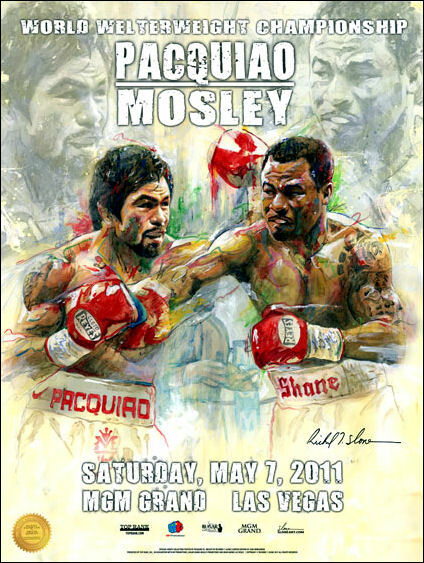 I had the good fortune to attend this fight at the MGM Grand to watch Manny Pacquiao dominate Sugar Shane Mosley. 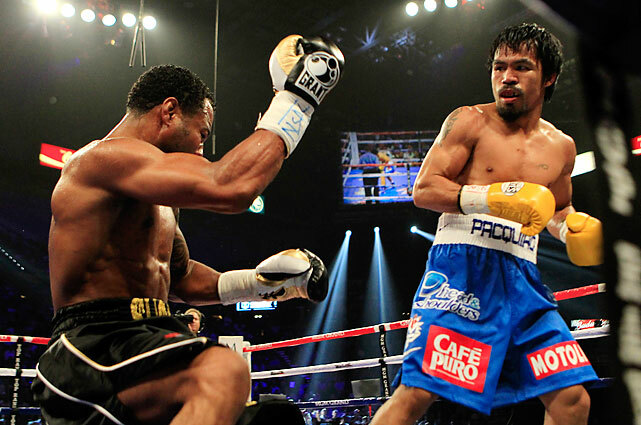 In the third round, Pacquiao knocked Mosley down, using a one-two capped with a left straight. Mosley was left dazed by the knockdown but managed to stand up. From that point on, Mosley backpedaled and seemed very reluctant to engage Pacquiao, throwing few combinations, trying to potshot with occasional counter right hands, and looking for one big punch. Mosley floored Pacquiao in the tenth round with a push, but referee Kenny Bayless ruled it a knockdown. None of the judges seemed to have agreed with this view, judging from the scores. Replays showed that Pacquiao was throwing a punch off balance, slipped and went down with a little help from Mosley's right hand and with his right foot trapped under Mosley's left foot. Bayless apologized for this mistake to Roach, Pacquiao's coach, after the fight. Pacquiao gained a near shutout on the judges scorecards with verdicts from all three judges – 119-108, 120-108 and 120-107.